This study was designed to assess the effects of saffron (Crocus sativus) on rats’ heart with isoproterenol-induced myocardial injury. Animals were divided randomly into four groups: vehicle-control group (CTL); ISO group, administrated with Isoproterenol 85 mg/kg s.c.; saffron group; and finally combined Saffron + ISO group. 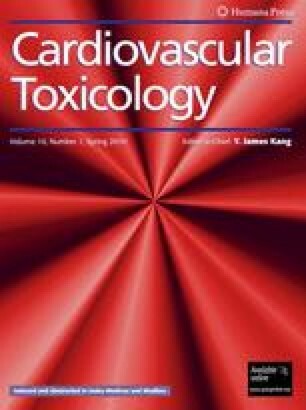 Basal and final serum levels of heart troponin I, heart tissue antioxidants and histopathological indices were assessed in all groups. Isoproterenol administration significantly increased serum level of troponin I when compared to control group (3.46 ± 0.77 vs. 0.53 ± 0.35 ml in ng/ml, P < 0.001) and reduced significantly the glutathione peroxidase activity of heart muscle (1.63 ± 0.21 vs. 4.01 ± 0.64 nmol/mg protein, P < 0.05). The grade of heart muscle damages was severe in more than 70% of ISO group animals. Saffron + ISO group showed remarkably decreased intensity of tissue destruction and significantly decreased serum levels of heart troponin I, when compared to ISO group (1.25 ± 0.23 vs. 3.46 ± 0.77 ng/ml, P < 0.05). The level of glutathione peroxidase activity in Saffron + ISO animals did not have significant decline compared to saffron alone. These results suggest the protective role of saffron on ischemic hearts by biochemical and histopathological findings. The authors are thankful to Ms. S. Saeb and Ms. Z. Razmi of clinical biochemistry MSc students, for collaborating in biochemical tests’ performance and the Vice Chancellor of Research, Kerman University of Medical Sciences for financial support. Market Sector Assessments SME Development available from: http://www.undp.org.af/Publications/KeyDocuments/Final_Report_MSA_SME_Altai_Cons_July_14th_2005.pdf Accessed June 28, 2009.